Did that headline get your attention? I hope so. 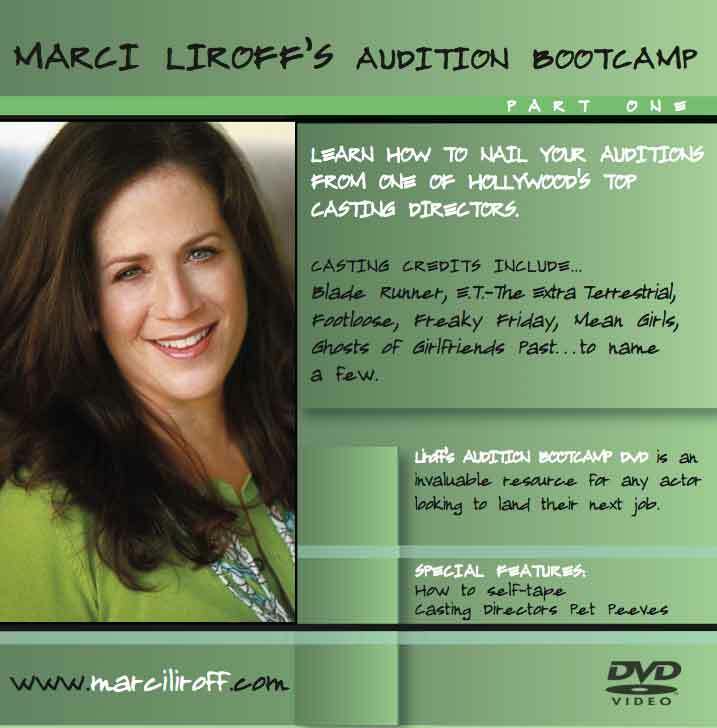 As a casting director, producer, and acting coach, I spend a good portion of my day viewing demo reels. Despite the recent changes in how a demo reel is produced, we still need to see a quality piece of film that shows you off at your best. A few years ago, it was inappropriate to put anything on your reel that wasn’t professionally produced. By that I mean the footage was always from a network television show, a studio film, or an indie. With the advent of inexpensive video cameras, the Internet, and Web series, all that has changed. So much of what I’m seeing now is either footage that you and your friends shot and cobbled together for an “indie project” or literally self-taped auditions edited together. There are also plenty of production houses staging “scenes” in their studios that you can use for your demo reel. Unfortunately, the quality of these productions is not very good. The writing, lighting, acting, and directing are subpar. I’d rather see nothing than see a bad demo reel. That bad impression will take a while to rectify. There are many different opinions on this topic, but I like to see broadcast quality in picture and sound. Homemade videos look like homemade videos. They look like a scene out of all those Mickey Rooney–Judy Garland “let’s put on a show” movies. I know I’m generalizing here, and of course there are exceptions, but what this footage doesn’t show me (and what is crucial for me to see) is that a studio, a network, or a group of filmmakers has hired you. Along with your great acting, I can see that you have a record of being cast in legitimate projects by other professionals in this business—not just a scene or two that you’ve paid someone to put together for you. Make sure to front-load your reel with your absolute best work. (And don’t start it with a photo montage set to music; that style went out in the ’90s.) 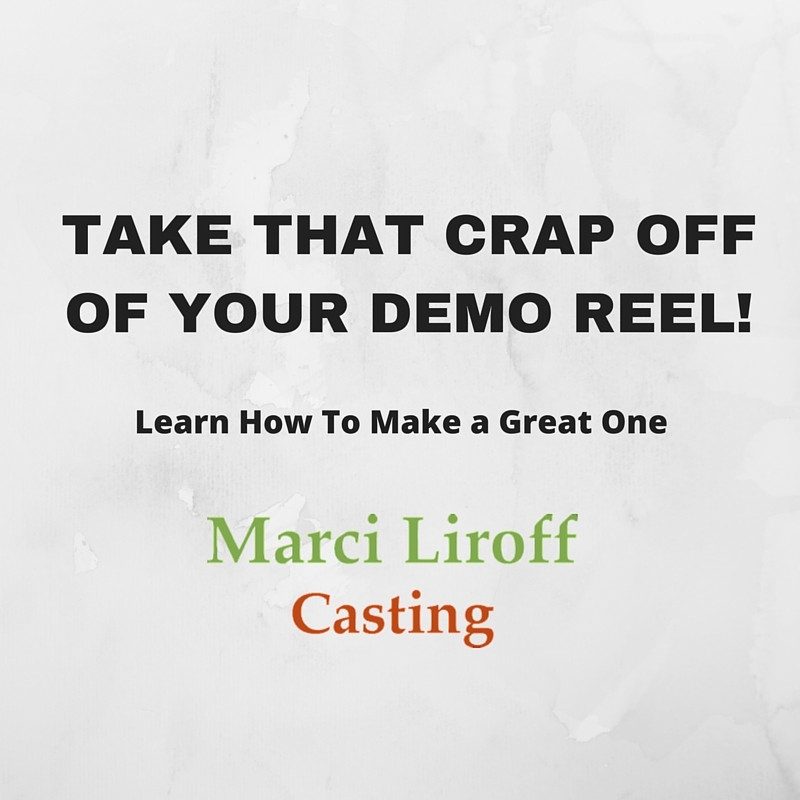 As I mentioned before, most of the people viewing your demo reel have the attention span of a gnat and if you don’t grab them immediately they will click away. Make sure your scenes feature you, not the other people in the scene. Just being in a scene doesn’t mean it’s worthwhile to show. I shouldn’t have trouble identifying which character you are in a group of actors. You and your editor have to be merciless in editing your reel. Monologues tell me nothing except that you can memorize a large piece of material and are probably better for theater auditions. We need to see you interacting with your partner. We need to see you listening. For me, this is the most important part. 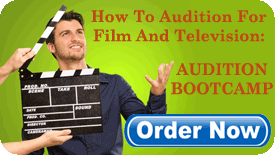 In lieu of including everything, you can also post short individual clips of your scenes on various shows. Categorize them under “drama” and “comedy” so that we can view exactly what we need. They are, hopefully, short and concise and feature the best of you. Like this article? Help spread the word. 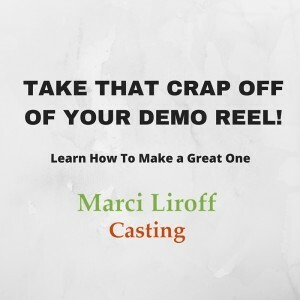 Take That Crap Off Of Your Demo Reel – learn how to make a great one!